You put everyone else in your life first, especially during the holiday season, and when it’s finally time to take care of yourself you’d rather just take a nap. Well, at least I would. That’s why I’m so excited to introduce you all to MOMnumental Moms and Founders, Thuy Simpson and Claudia Smith Kelly. These ladies have been where we’ve been and spent time caring for the kids, co-workers, and significant others all while trying to balance career, family, and sleep. With this first-hand experience in mind they created Mom-specific care packages; high quality, yet affordable delivered gifts to give you a second to breath and a few moments of calm. 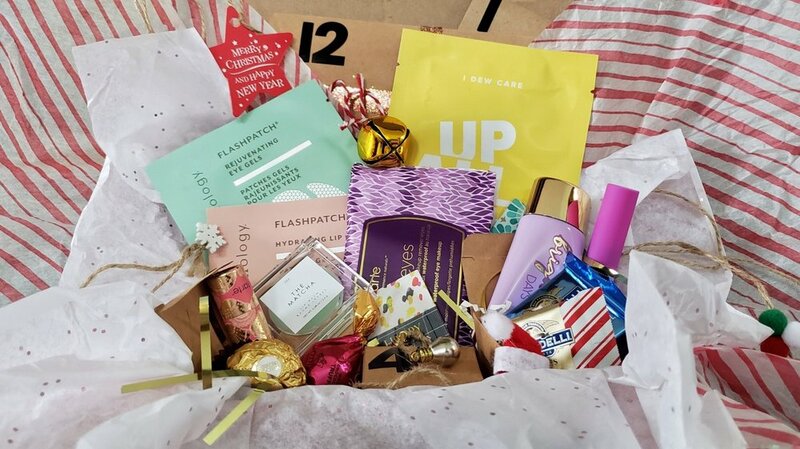 Their latest package, 12 Days of Self-Care is an advent Calendar for the Busy Moms & Fur Mamas out there and it comes stocked with all the things we love; chocolates, lip balm, inspirational quotes, moisturizer, masks, and so much more. Every item was picked out just for you and they fall in line with their core values. 1) They believe you are a WOW! Seriously, you are pretty fab. Each day you’ll find and open an item meant to wow. 2) Moms should be celebrated with support and encouragement. Throughout the package you’ll find pick-me-ups and notes of inspiration to keep you going. 3) High quality items can be delivered at affordable prices. Just look at this line up of great items. You can also follow them on IG and FB.